SHONA ERSKINE graduated from the Victorian College of the Arts School of Dance in 1994. She has worked extensively with many Australian choreographers including Healey, Balletlab, Tracie Mitchell and Lucy Guerin. She was a founding member of Wu Lin Dance Theatre. She is currently a PhD candidate in the Department of Psychology at Melbourne University . She has been a major player in Healey's work since 2002. She has performed in all 6 works of the NICHE series, travelling to Japan and New Zealand , Canberra , Melbourne , Adelaide and Sydney . She has co-created and performed in all 4 works of the IN TIME series. She also assisted in the development of Quantum Leapers the documentary by Sue Healey on the Quantum Leap Youth Dance Company. Shona travelled to Japan to create Healey's latest film/installation project Will Time Tell? funded by Asialink. 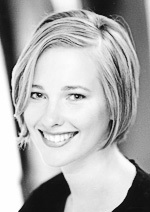 LISA GRIFFITHS studied dance at Queensland University of Technology and The Centre of Performing Arts in Adelaide . She then worked with Chris Jannides of Darc Swan Company, Chunky Move, Meryl Tankard, Tasdance and Leigh Warren and dancers. An integral member of Sue Healey Company since 2002, Lisa has performed in Fine Line Terrain in Sydney , Canberra , New Zealand , APAM Adelaide and the film Fine Line and all the recent film projects Three Times , Once in a Blue Moon and It was Time . She has recently returned from USA with Leigh Warren and dancers. Lisa performed in the major work Inevitable Scenarios, Sydney Opera House season and Melbourne tour. NALINA WAIT graduated from WAAPA in 1996. She was a founding member of Rosalind Crisp's company stella b performing in Europe and Australia . She has also worked with Sandra Parker's Danceworks. She was a recipient of an Australia Council choreographic grant creating a dance video Sole in 2003. A core member of the Sue Healey Company since Fine Line Terrain in 2002, Nalina has performed in Sydney , Canberra , New Zealand , APAM Adelaide and in the film Fine Line . Recently she has performed in 2 of Sue Healey's film projects Three Times and Once in a Blue Moon, after the birth of her child Leila in 2005. Nalina performed in the major work Inevitable Scenarios , Sydney Opera House season and Melbourne tour. RACHELLE HICKSON originally trained at the McDonald College of Performing Arts, after which she went on to complete a National Certificate of Dance Performance (contemporary) at the New Zealand School of Dance. Upon returning to Sydney late 2005, Rachelle began working and experimenting ideas with Sue Healey and her dancers. Since then she has performed in Inevitable Scenarios (2006), As You Take Time (2007) and The Curiosities (2008). Rachelle also collaborated and danced in the dance film Reading The Body, choreographed and directed by Healey in 2008. Rachelle also worked consistently with DirtyFeet Dance Collective through 2006, collaborating with choreographers such as Anton, Anna-Louise Paul and Daniela Di Fabio. She has also participated in two DanceTank seasons: Special Mention, directed by Bec Reid and Luke George and Freedom to Launch, directed by Anton. Rachelle performed in Opera Australia's seasons of Alcina and Tannhauser in 2007 and My Fair Lady in 2008. Most recently, Rachelle performed in Cecilie Farrar’s Murder My Sweet as part of Short + Sweet 2009. CRAIG BARY graduated from the New Zealand School of Dance in 1998. Since then Craig has worked in Australia with Garry Stewart, Australian Dance Theatre, Kate Denborough, Douglas Wright, Tasdance, Graeme Murphy, Leigh Warren, Natalie Weir, Chrissie Parrott, Phillip Adams, Anna Smith, Tanya Liedtke and Gideon Obarzenek. MICHAEL CARTER trained at the Halliday Dance Centre and with Bill Pengelly in Sydney before studying at the Australian Ballet School . Upon graduating from the ABS in 2000, Michael danced with the Australian Ballet touring nationally and internationally performing a diverse repertoire spanning many choreographers. In 2004, Michael joined Leigh Warren and Dancers and has performed in acclaimed works including Divining in Tokyo , Quick Brown Fox in the US and in Like no one is Watching by Ballet Frankfurts' Tony Rizzi. 2006 sees Michael returning to the Australian Ballet and working for the first time with Sue Healey dancing in Inevitable Scenarios , ( performing Tom Hodgson's role). JAMES BATCHELOR – Guest Artist. James is now 21 years old and from Canberra . He started dancing at age 5 and in 2000 joined Quantum Leap Youth Choreographic Ensemble at The Australian Choreographic Centre. Sue first worked with James in 2004 in her dance documentary Quantum Leapers and he then performed in her new dance film 13 and 32 , with Tom Hodgson. Kiel Ballet, Ballet Braunschweig, Lucerne Ballet, Scapino Ballet Rotterdam,Conny Janssen Danst, Dansity Amsterdam and most recently with London based companies, Ricochet and DV8 Physical Theatre. In 2002 he won first prize for young choreographies in Hanover , Germany . Tom recently immigrated to Australia where he joined Sue Healey Company for Inevitable Scenarios . He has also worked for Kate Champion and is now choreographer for Billy Elliot Sydney production. 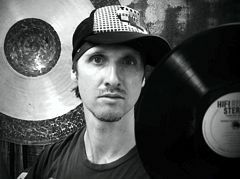 BEN WALSH is a composer and percussionist based in Sydney (Circle of Rhythm, The Bird). He has created music for each work in the IN TIME series ; Three Times, Once in a Blue Moon, Inevitable Scenarios, Will Time Tell? and for Healey's recent commissions for Tasdance and NZ School of Dance. JOSEPH MERCURIO is one of Australia 's leading lighting designers and has worked with many choreographers and companies, including Bangarra Dance Theatre, Tasdance and Sue Healey Company. He currently is Head of Lighting at VCA.